I believe everything in life should be, to some extent at least, an experience. And by that I mean it should leave you with a child-like smile and a story to share when you come home. Although that isn’t always possible, there are some special places in Lille that give you just that: the feeling to have experienced something special. Not one but two shops nested in a lovely street of the Vieux Lille. One for the little ones (babies and children), the other for the tall ones (adults with a house to fill of beautiful furniture and objects). Both smell divine. “Detail” you’ll tell me. Well, no. How wonderful to come into a place that smells like childhood memories, and that lingers with you for hours. If you like it as much as I do their linen and home spray collection is available for purchase in store. The selection in both shops is carefully curated, perfectly in line with today’s trends and bridges authentic and modern together seamlessly. It is La Redoute's high end interior decoration brand new shop also located in the Vieux Lille. You wander through 282m2 as though through a tastefully decorated home. It displays many different ambiances but remains coherent throughout and although it has the class of a high-end shop the items are affordable for most budgets. The shop is bright, the staff is nice and helpful and quite frankly, the home-like layout of the shop will leave you with the feeling of having visited a friend with impeccable taste. This isn’t so much a decoration shop but a beautiful florist that also provides items for your interiors. It is probably one of the most breath-taking florist in Lille. Just taking a peak throw the high windows will take you to another world. Amongst the plants you will find African necklaces made of beads and bobbles covered in seashells carefully displayed under bell-glasses: Although the shop owner isn’t particularly engaging, the shop is well worth a visit. For the Scandinavian lovers out there, the shop situated in a little street parallel to the busy Rue de Bethune offers a lovely selection of furniture, lights, plants and paper goods. This shop also doubles as an Atelier for workshops on Saturdays. The shop owner is a lovely architect which can come in handy if you are looking to change or expand your home to add all the things you will have bought from the above selection of shops. Spring is here! This week we are sharing these great instructions to make a folding stool. It is a cheap, easy and fun project involving woodworking and sewing. Start it tomorrow morning and you will be able to enjoy the sun by noon. The stool is foldable so you can both enjoy it on your balcony and easily carry it to the park. The saw of your choosing: hand saw, jigsaw, circular saw, miter saw... All of these will work great. As for the material, it should cost you less than 15 euros. Fabric: I used a thick canvas leftover from another project. Here is the summarised instruction from Lier. It is in inches as you will see. Despite its inconvenience, the imperial system is still widely used. Since we live in a global world, if you want to get inspired by as many people as possible, it is wise to learn to use both system. Or at least get familiar with the imperial/metric conversion. Get the full step by step instruction on How about orange. The Most Common Saws and Their Uses. In this article we present the most common saws used in DIY. The're are well over 30 types of saw but we narrowed the list down to the ones a homeowner or amateur woodworker might actually need. Hand tools, as the name suggests, are tools you use with your hands. As opposed to power tools which are electrically powered. Hand tools are often viewed as more boring and time consuming than their electric counterpart. But I personally have used hand tools exclusively for a surprisingly long time. Hand tools make significantly less dust than power tools, and if you are building your projects in a tiny apartment like I did then, it is a important factor to take into account (in general the higher the power, the more dust you will get). It is also a different feeling. While it does take more time than with power tools, I find it provides a deeper experience. It is a great way to understand the job better before moving up to a powerful machine. This is the ultimate saw. It dates back to the Bronze Age (3.000 BC). It is used to cut across the grain (crosscut). 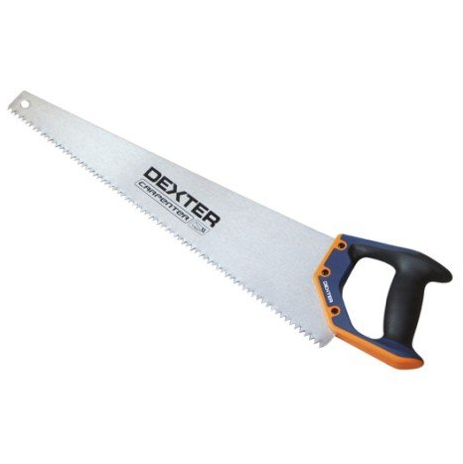 A rip saw and a hand saw look very similar but are used differently. The rip saw is for ripping the wood, which means cutting wood lengthwise with the grain. How to tell a rip saw from a hand saw? The rip saw has less teeth per inches (TPI), an average of 5 TPI versus 12 for a hand saw. On a back saw the top edge is reinforced which make the blade easier to steer. The back saw offers more control and is therefore more precise. The Japanese saw (or Nokogiri) cuts on the pull stroke instead of all the European saws mentioned previously which cut on the push stroke. The advantage of this technic are that the tension keeps the blade straight, allowing for a more precise cut. The coping saw is a thin blade tensioned in a C-shaped frame. It is used to cut curve lines and circles. The hack saw is, like the coping saw, a thin blade tensioned in a C-shaped frame. Except the C is less deep and the blade has different property. 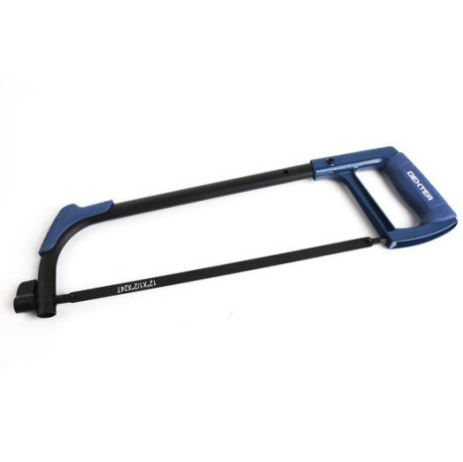 It is made for cutting metal, aluminium or plastic. It is actually more comparable to a back saw for metal in that sense. Power tools are often an investment but they do make the job easier and faster. A jigsaw has a small blade that moves up and down. It allows to move blade to move freely in any chosen direction, making it especially useful for cutting curves and circles. In addition, a jigsaw in an experienced hand can make almost any type of cuts. You can set up various type of blades: fine or rough cuts on woods, metal, plastic. The band saw is a stationary version of a jigsaw, or you might say an electric coping saw. A long sharp blade is stretch between two wheels. The width of the blade allows to cut very fine curves with minimum kerf (waste). A circular saw has a circular blade, cutting on the way down as it spins. It is great to make cross and rip cuts. It is a great and fast way to make rough cuts. For precise cuts it is advised to set up a track along which the saw can slide. The circular saw is the basis for all the tools that follow. They are basically a sophisticated variation of a circular saw, focusing on one specific use. It is a circular saw on a stationary platform. The saw can move at different angles which allows you to very precise cross cut at any angle you like. It is basically a circular saw attached under a table. It is one of the most powerful woodworking machine. Instead of moving a circular saw along the wood, you are feeding the wood to the table. This is the one you see at the hardware store. It is a big machine used to cut panels to size. Imagine resting a panel on the wall having a circular saw sliding up and down to make the cuts. A few weeks ago, all our friends simultaneously decided to spontaneously have dinner at our place. As we went to expand the table from 4 to 12 seatings we found out the extension had become really hard to install. We would usually quickly slide the two sections of the table apart and fit the extension in the middle, but it was now extremely sticky and we had to wiggle for 5 min before we finally got to the extended position. If you are familiar with this situation, here is a simple trick you can use to smooth the slides. You can use this trick on any sliding wooden part. Temperature and humidity affect the wood and any variation will change its shape. You might find that the drawer of your buffet opens easily in the summer but sticks in the autumn. To simplify, it contracts in hot and dry settings and expands with humidity. Because the piece fits so neatly in its track, the slightest change will be noticeable. In our case we have recently changed flats. The higher humidity level of the new flat has expanded the wood enough that it did not slide well anymore. If we were to move to the south of Spain I am confident the table will slide open without effort again. But we chose a single glazing appartement in the rainy North of France ;). This trick works almost all the time. Take a candle or a bar of soap and slide against both the wood and the tracks. The candle/soap will remove the friction and help the parts slide smoothly. The soap will not work if the wood has expanded too much that it is simply does not fit the track anymore. In such case, you will have to sand it. By sanding you will slowly remove enough material to make it fit again. Be careful since this cannot be reverted. Do it by hand, work slowly and test fit often. A medium paper (between 80 and 100) will work fine (the higher the number is, the finer the finish will be). This way we were able to accommodate our 12 hungry friends, and so will you! Watching a professional mover work, you would be amazed at how they easily move heavy pieces of furniture without breaking a sweat. It is not that they are all super strong, but the key is in the experience and knowledge. Proper technic often beats sheer force. In this article, we will teach you the different methods the pros use to move heavy furniture. Follow these tips next time you will have to move your antique buffet and you won't end up with back pain. The whole article could be summed up by this simple rule: do not lift when you can push, do not push when you can roll. Of course the furniture will often dictate what the appropriate method is but keep this rule in mind and look for ways to roll or push as much as you can. First, let's state the obvious. To move a heavy furniture easily, make it lighter. The lighter it is, the less effort it will be. It is obvious, yet many people overlook this step. By unloading the furniture as much as possible, you will dramatically reduce its weight. Remove cushions from sofa, empty the furniture from books, magazines and miscellaneous (even the small items add up), remove the drawers and doors if possible etc. If you cannot remove the drawers and doors, strap them so they stay in place. It is also wise to plan the route beforehand. Know where it lands and how you will get there. Clear the path. Here are your options by order of priority: Roll, Push, Lift. A dolly is a platform (wooden board or otherwise) mounted on 4 wheels. It is the cheapest option. This one costs less than 20 euros and can hold up to 200kg. It is particularly useful for bulky items such as a couch and a buffet. If need you can slip several dollies under the furniture. A hand truck is a two-wheel platform with a handle. It is a bit more expensive, around 40 euros but it is also more manoeuvrable. It is used for more compact items, such as a washing machine or a safe. Another difference is that the hand truck will require you to support part of the weight when moving, while with the dolly once the furniture is loaded, all you need to do is roll. A furniture slider is essentially a piece of plastic that you slip under each corner or each leg. Its helps to reduce the friction which allows you push the furniture with minimum effort. The sliders above costs around 25 euros. If you are on the budget you may replace them with pieces of cardboard or slip a blanket under the furniture. Be extra careful on hardwood floors. Sheer force should only be used at last resort. Lifting heavy loads requires a proper technic which most of us do not have. Most people just bend over and lift with their arms and back. This can lead to injury. Instead you should squat and lift it up with your legs while keeping your back straight. Yes, as you would do at the gym. Keep the item close to your body, your head straight and walk carefully to the landing spot. If you have someone helping you, which is wise, you can use the high and low method. It is particularly useful with tall items such as a shelving unit or a bookcase. It works this way: stand in front of the furniture and tilt it at a slight angle so the helper can grip the bottom while you carry the top. This allows to center and better balance the weight. Carrying this way also makes the unloading safer.